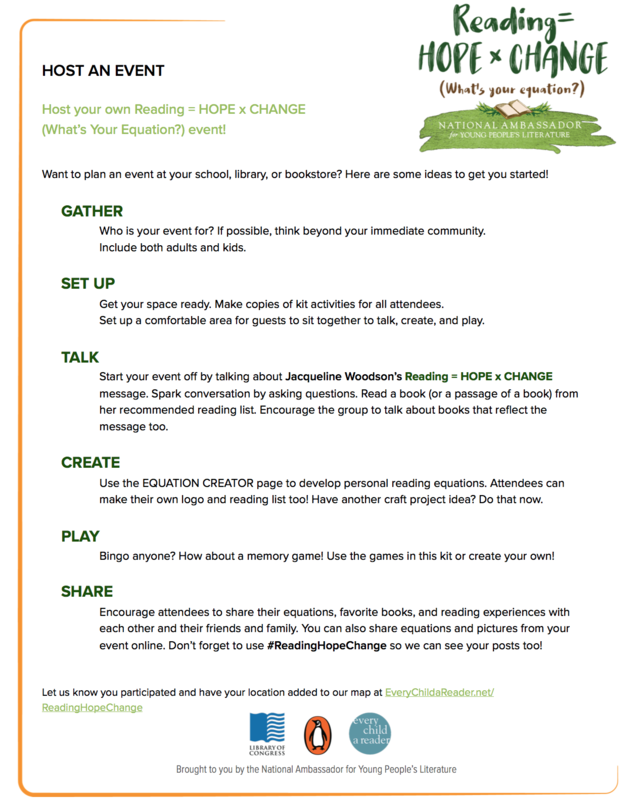 Host a Reading = HOPE × CHANGE event with your students, patrons, book groups, etc. Use these ideas to get started. Download here or as part of the activity kit! Interested in reading some of Jacqueline’s books? 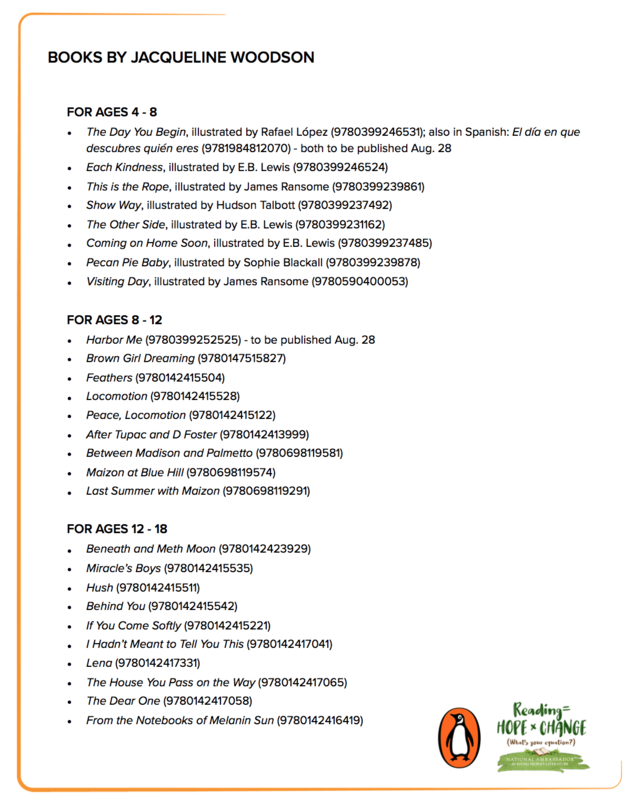 View and print this book list of her titles, listed by age range. Attention Teachers! 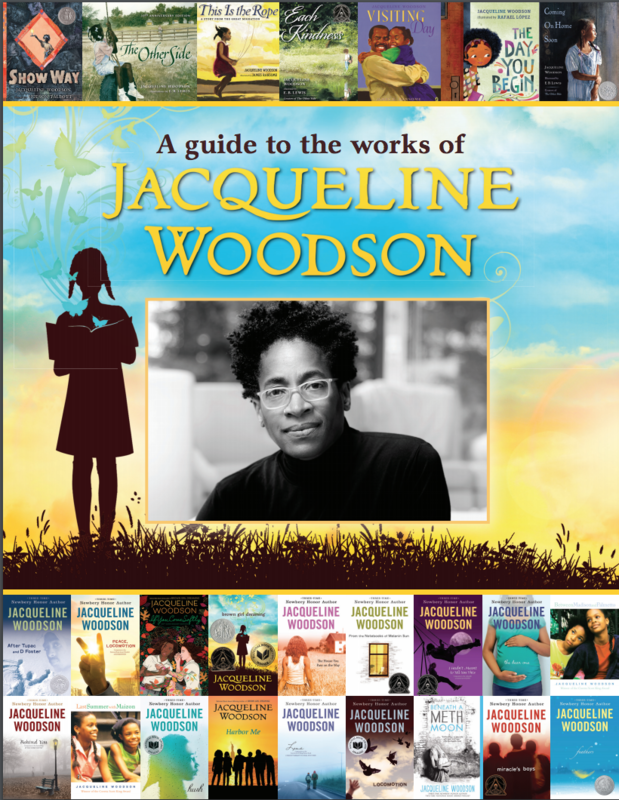 Download the Penguin Young Readers Educator Kit for supplemental materials focused on Jacqueline Woodson’s books. Schools, libraries, bookstores, and other organizations can be added to our map of participating locations. Just fill out this form! Posting equations created by kids and adults at your school, library, bookstore, or home is a great way to inspire others to figure out what their equation is and connect with Jacqueline Woodson’s empowering platform. Use these post templates, or write your own, and don’t forget to use the hashtag #ReadingHopeChange! We are celebrating @JackieWoodson’s National Ambassador equation, Reading = HOPE × CHANGE in our [name setting. For ex. School, library, community, etc.] 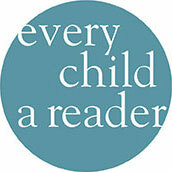 What are you doing to celebrate #ReadingHopeChange? @JackieWoodson, National Ambassador of Young People’s Literature shares her equation—Reading = HOPE × CHANGE. What’s your equation? Share with us using #ReadingHopeChange! Reading = HOPE × CHANGE to National Ambassador of Young People’s Literature, @jackiewoodson. What does Reading mean to you? Tell us your equation using #ReadingHopeChange! If you’re want to, tag us in your posts and connect with us! You can find approved logos for use on your social media here! Please email Shaina.Birkhead@CBCBooks.org with any questions about usage and copyright guidelines. See Reading = HOPE × CHANGE participating location, register your locations, and find Jacqueline Woodson events near you!